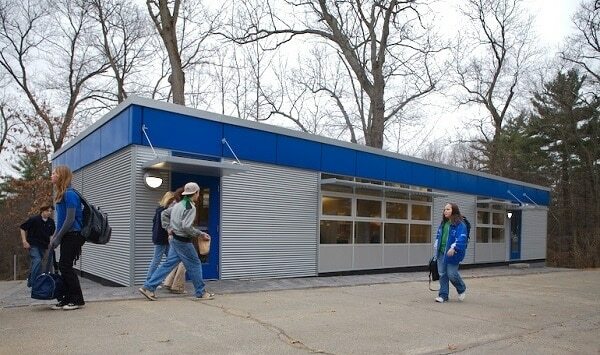 Modular buildings in education are quickly becoming a popular alternative to stick-built construction. 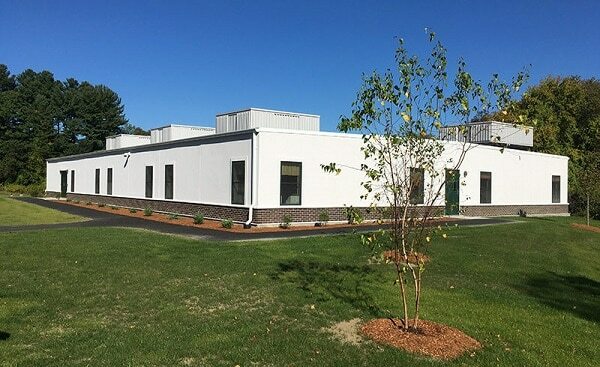 Whether you need portable classrooms or a permanent building, modular is an attractive approach because it works. We deliver the results you want, within the budget you want, in or before the deadline. Portable classrooms and other buildings serve a crucial need in education. If you face constantly changing enrollment figures or tight budgets, choose modular. Similarly, if you have a permanent building under construction/renovation, a temporary modular serves as a great stopgap. With modular, you can have any type of building you want. Indeed, they can include classrooms, science labs, health centers, dorms, and administrative offices. 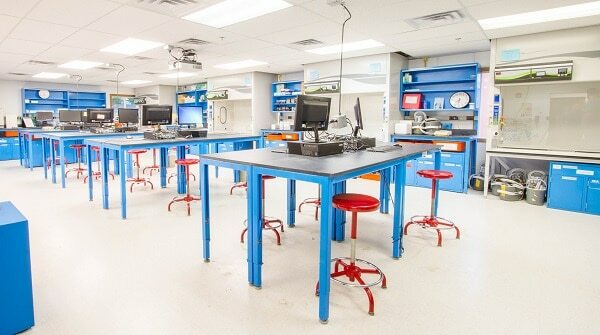 Temporary modular is the most flexible way of planning for your school or university. Westfield State College is a great example of a “hybrid building”. Though a hybrid modular building like this one is temporary, its uniqueness comes from having features more common on permanent buildings. With brick exteriors and a ground-level entrance, it looks just like a permanent edifice. Thus, the exterior blends right into the surrounding area. As a result, it seems like a permanent part of the campus. Modular is not just for temporary buildings. Regarding permanent construction, it is cost effective, time efficient, and delivers building of the same quality as stick-built. Like the aforementioned buildings, the Harvard Pagliuca laboratory is modular. Unlike the other buildings, it is also permanent. If you need a great building designed to exact specifications, and built with speed to occupancy, choose permanent modular. For more information, click below and we will get in touch with you regarding your questions about modular classrooms.